In a recent post, I wrote that my non-Mexican, very Italian mother brought her version of guacamole to our neighborhood Mexican restaurant. Clearly, this is where I get my chutzpah from. I decided to impress Memere with homemade FRENCH Madeleines. A Madeleine is a scallop shaped treat with a crispy browned outside and a soft, cake-like inside. Most Americans refer to these treats as cookies, although they’re miniature cakes. Shortly after making this risky decision, I realized I needed a Madeleine pan to make Madeleines… duh. Before you do what I did and run to 3 specialty cooking stores to find this pan, check out this link. Bed, Bath & Beyond – emphasis on BEYOND – has a Madeleine pan at a decent price. Now that I had my pan, I needed the perfect recipe. Naturally, I immediately went to Pinterest and found a great blog post. 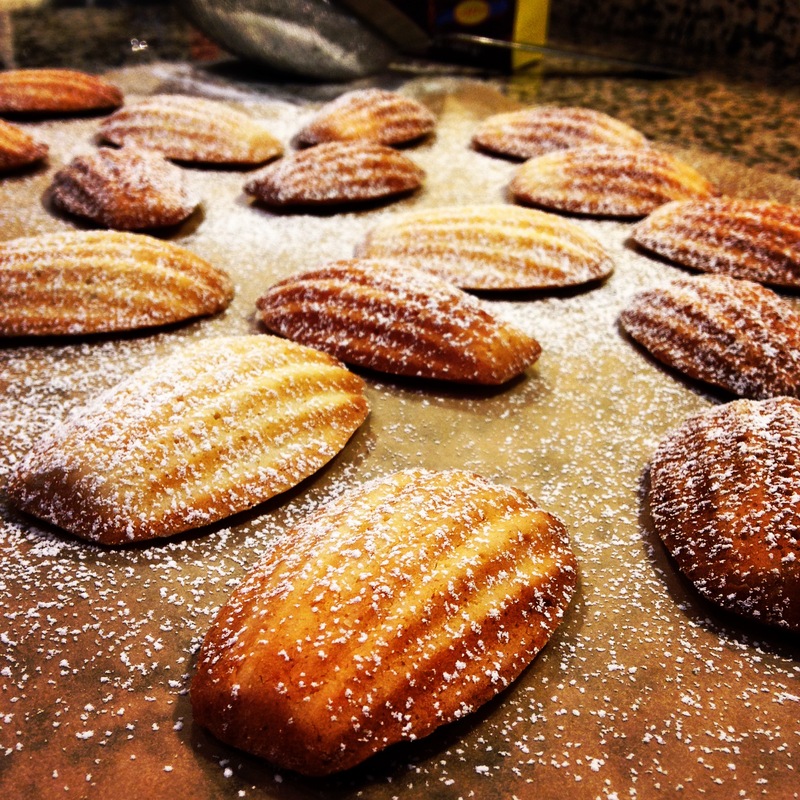 This post helped walk me through my first attempt at Madeleines and they came out perfectly! That being said, I will give you the same tips and detailed recipe this blogger unknowingly gave to me. Brown the butter, or don’t. Classic Madeleine’s are made with brown butter, giving the cakes a toasted nutty flavor but this step can be scary. Butter takes approxim ately 1/2 of a second to go from beautifully brown, nutty scented goodness to burnt grease. This is not to discourage, but to warn! I highly recommend babysitting your butter while it browns. No one wants the heavy taste of burnt butter in their dainty French Madeleine. If this is overwhelming, melt the butter without browning and your Madeleines will still taste great. NOTE: For help browning butter, use this link! It’s what I used when I first re-created this recipe and the photos were super helpful. Madeleines like to be cold. After you purchase your new pan, pop it into the freezer until you’re ready to use it (or for at least 1 hour before use). After filling the pan with batter, put it back into the freezer for 10 minutes. A cold pan with chilled batter will help you achieve a defined ‘scallop’ shape with the classic bump on the backside, instead of just a delicious oval. It's brown butter time! Melt the butter in a small sauce pan. If you feel ready to brown the butter, let it bubble in the pan until it smells toasty, nutty, and starts to turn color. Remember, the butter could burn quickly & will continue to color after it's off the heat unless you pour it into a new container. Spoon 3 tablespoons of the butter into a small bowl and set aside. Cool the remaining stick of browned (or melted) butter slightly. In a medium bowl, whisk together one cup of flour and the sugar. Set aside. In a separate medium bowl, whisk the two eggs with the vanilla, salt, lemon zest and juice until the eggs are frothy. Fold the eggs into the flour mixture, using a rubber spatula until just combined. Add the browned or melted stick of rested butter to the mixture but DO NOT over mix. Rest the batter by covering the bowl with plastic wrap or a clean dish towel, and placing in the refrigerator for at least 1 hour (or up-to overnight). Prepare the pan or pans (I purchased 2 but you can do the following steps one pan at a time if you only have one). Add the remaining 1 tablespoon of flour to the 3 tablespoons of reserved butter and stir to combine. Using a pastry brush, brush the interiors of the 'scallops' with the butter-flour mixture so they are well-coated. Place the pan or pans in the freezer for at least 1 hour. NOTE: If you don't have a pastry brush, simply dip a paper towel into the butter, brush the interiors of the 'scallops', then sprinkle the flour atop the buttered pan. 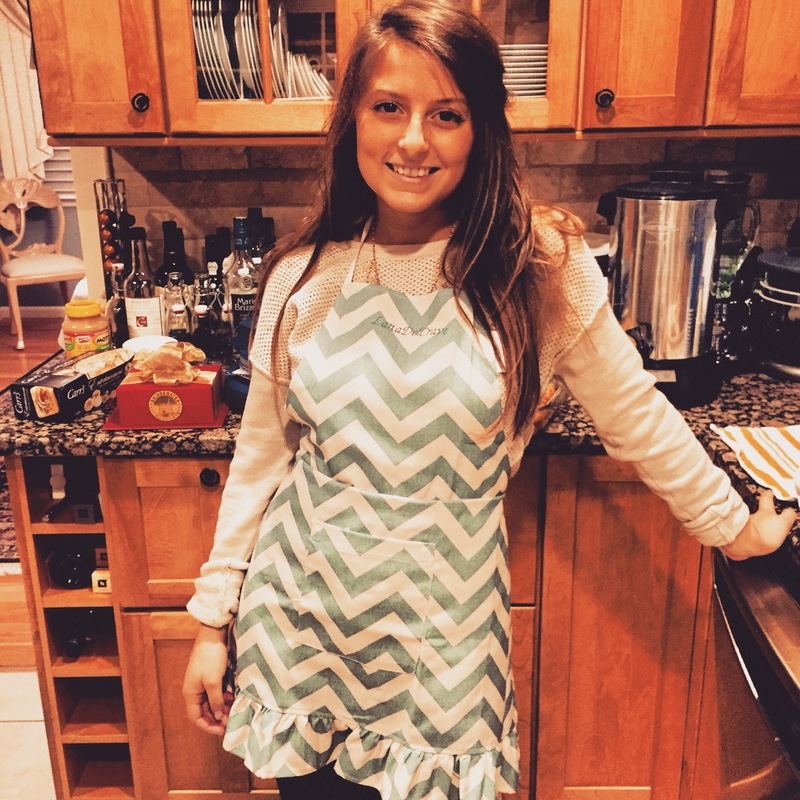 Preheat the oven to 350 degrees F and remove the batter from the fridge. Fill each 'scallop' in the Madeleine pan with 1 tablespoon of batter. Place filled pans back into the freezer for 10 minutes. After 10 minutes in the freezer, place the pan or pans on a baking sheet for easy handling, then into the oven. After 8 minutes, rotate the pan or pans. 5-6 minutes later, check to make sure the Madeleines are browning around the edges and puffed up in the middle. Using your finger, press lightly on the center bump - you'll know they're done baking when it springs back at your touch. Remove the Madeleines from the oven and let cool for 2 minutes. Gently flip the pan so the cakes fall out. Once cool, use a sieve to lightly dust with powdered sugar. If you plan to freeze or store the Madeleines, do not dust until just before serving. Store these in an airtight container for a few days or freeze them in a double wrapping of plastic wrap for several months. Defrost the cakes before dusting with powdered sugar.